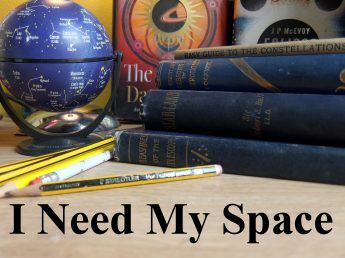 March | 2018 | I Need my Space! There was thin cloud covering the Moon tonight, which resulted in a loss of contrast, but I still like this shot of the Southern Highlands. Again, this is through the little 4″. I might submit a ‘Lunar Photography Through a Small Telescope’ article for the society newsletter. Again, this picture features Clavius, Tycho etc. I’ve really been enjoying the Lunar and constellation photography, and I’m hoping to get some more decent shots of Jupiter over the summer. But to get some deep sky objects captured on film, I really need to invest in some form of tracking. 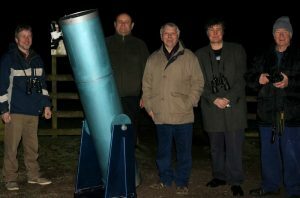 I’ve been looking at the Skywatcher Star Adventurer. It seems easy enough to set up, with an app for finding Polaris. I think it could well be the next step. Double star Mizar (above), and Alcor (below). In Ursa Major. I took these about ten days ago with my DSLR. 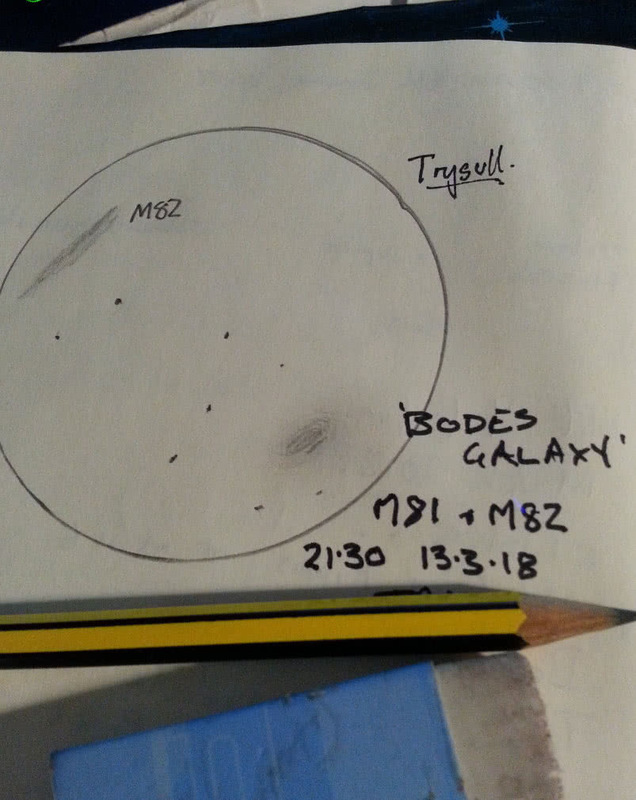 About a week ago I listed the Messier objects from my observation notes, and said I might have missed a few. 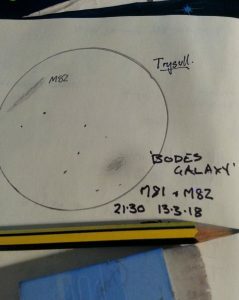 I’m now thinking I might have missed more than a few, because I’ve found some objects I didn’t list, in my recent constellation photos. So I’m putting the photos here. 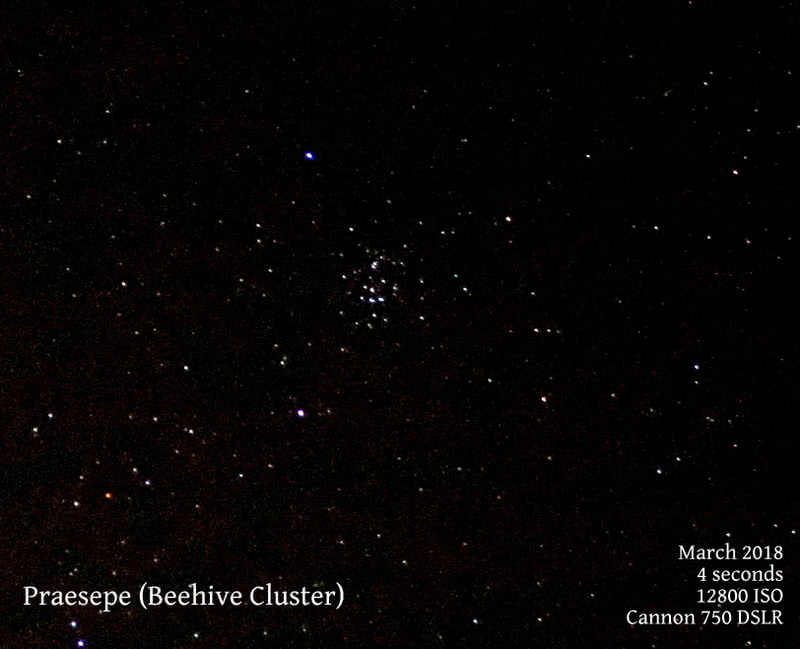 But before that, here’s the Beehive Cluster last night, or Preasepe. Preasepe means ‘The Manger’ in Latin. According to Wikki. 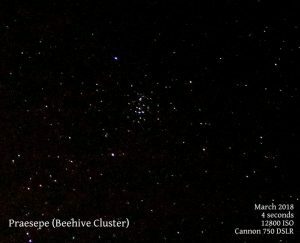 And then there’s the Little Beehive cluster, in Canis Major, a constellation we had a talk on recently at the Wolverhampton Astronomy Society. ..and lastly M47. Which is in Puppis, a hardly visited constellation for me, but I got interested after reading …. Puppis /ˈpʌpɪs/ is a constellation in the southern sky. Puppis, the Poop Deck, was originally part of an over-large constellation, the ship of “Jason and the Argonauts”, Argo Navis, which centuries after its initial description was divided into three parts, the other two being Carina (the keel and hull), and Vela (the sails of the ship). 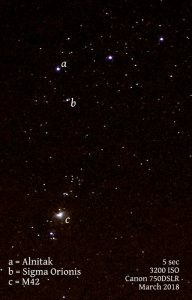 Puppis is the largest of the three constellations in square degrees. It is one of the 88 modern constellations recognized by the International Astronomical Union. Gamma Leonis is also called Algeiba, and it’s a binary star system. I’ve been reading about them this morning, because last night it was clear enough to do some more constellation photography, and I was looking at the two ‘doubles’ in Leo. Leo’s quite nicely placed for observation now, around 11pm last night it looked fine from the site near Tong. 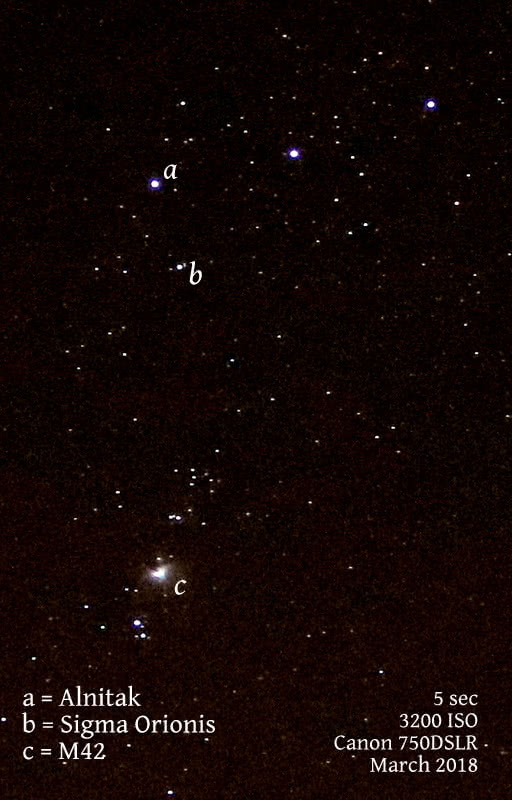 The double in the top bright star (Adhafera) can be seen, but the other double can’t. As I understand it, Adhafera is a telescopic/binocular double, but Algeiba is a true binary system. This sort of thing is important to remember when showing people stuff through the telescope. I’ve never really thought much about the differences between binary and telescopic doubles, but I’m going to research them. I see Adhafera has a double that’s Known as 35 Leo, this star is separated from Adhafera by 325.9 arcseconds (from Wikki). Which compares with the 35 arcseconds of distance between the two in Albireo, (my most visited ‘double’).